It’s that time again. My family always fights and argues over who is eating with whom, which house are we having Thanksgiving in, and who all is invited or not. I have a teenager from a previous marriage and 2 children with my 2nd husband and my family, so I have 3 families’ wishes to contend with. It has gotten so stressful, don’t even want to go anywhere. Should we eat Chinese for Thanksgiving and hide out or draw straws or what? When I was a child, my stepmother and Dad invited her nasty relatives to visit from Tennessee and my step-aunts would come in droves with their dirty and disheveled progeny and invade our house for a week. These relatives were dirt poor and could barely afford the trip much less hotels or food or laundry, but they came. They considered us the “rich relatives” although we absolutely were not. The kids wet the beds, broke dolls and furniture, and generally wreaked havoc. The adults sat around, smoked, and complained. It meant a lot to my step-mother and Dad to be able to help that brood. They enjoyed having a home, cars, food on the table, and good jobs. To me, it meant sleeping in a wet bed. From that experience, I decided that no one would ever come into my home that I didn’t want there. My best advice to you is to consider that your family is yours, and your home is yours, and no one gets to them unless you say so. When my kids were growing up, I was in the Navy, and family was far away. We had dinner in my home and we invited stray sailors and airmen to dinner. They were all well-behaved, clean, and so grateful to have a traditional meal in a clean, quiet environment. We did that until my kids were grown. 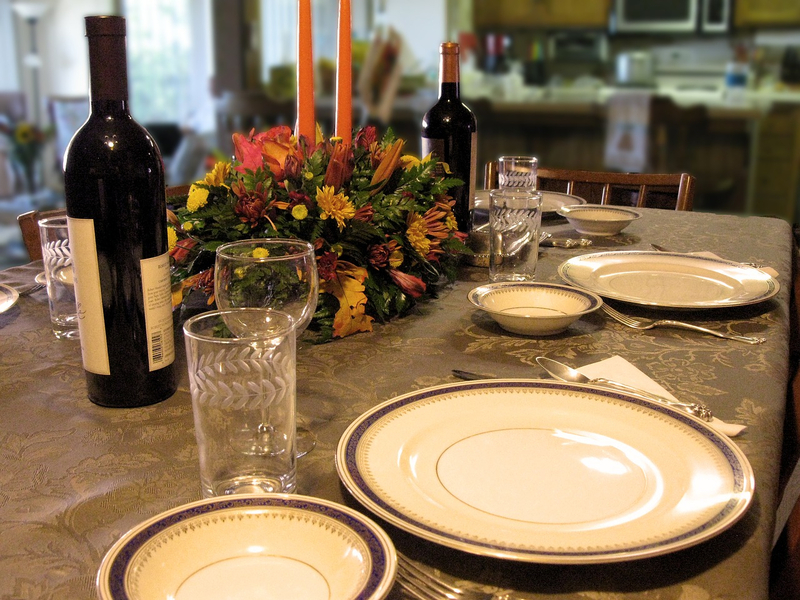 Now, my kids are grown, and we never eat together at Thanksgiving. We visit them at other times. Two years ago, Charles and I went to Costa Rica for Thanksgiving. It was a fabulous choice. We went at Thanksgiving on purpose because Costa Ricans don’t celebrate it, and we thought (ha ha) that we would have an extra day to play. Well, the 250,000 ex-pats who live there do celebrate Thanksgiving, and turkey is $7 a pound! The hotel manager adopted us, and we had Thanksgiving dinner with a large group of local leaders, including the local shaman, and a minister, and other interesting characters. Last year, my fiancé’s family invited us last year to the in-law’s home on Ft. Gibson Lake. We jumped at the chance! There were about 20 people there. I took green bean casserole (yes, I know it is a worst food choice), and it ended up being a warm, delicious, and happy experience. People will always “expect” you to come to dinner or host the dinner. Tell them way head of time (like September) what your plans are. Stick to your guns. Own your own family. You might rotate to different families every year. But if you don’t want to visit someone, don’t. This year, we are going to Houston, visiting the Texas beach and Charles’ birthplace (Liberty). I am having “beach withdrawal” since I haven’t seen a beach in over 12 years. Each year, my honey and I get to choose what to do. No stress. We do what we want. Is it selfish? Well, sure. Anytime you do what you want, and not what others want you do to do, you’re selfish. Ok, I’m selfish with my time. And I wouldn’t trade Costa Rican Thanksgiving 2016 for anything.